Boyle Heights — Police are asking the public to help find a hit-and-run driver who struck a pedestrian last week in a crosswalk at Lorena and 8th streets. 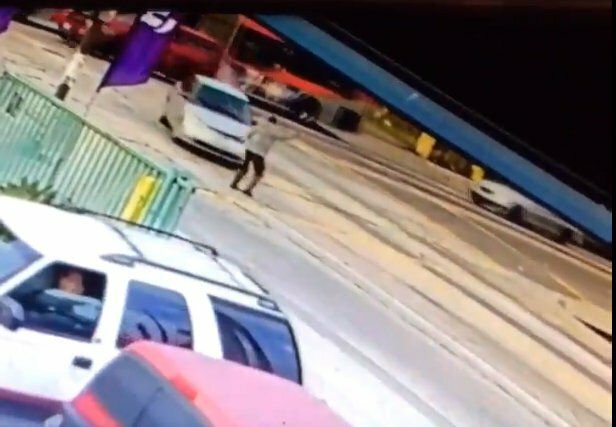 A surveillance video of the felony hit-and-run shows the pedestrian rolling across the hood of the car and then tumbling to the pavement as the motorist drives away without stopping. Anyone with information is asked to contact the LAPD Central Traffic Division Detectives at (213) 833-3713 or Detective-II Juan Campos (213) 486-0755 or email him 31480@LAPD.Online. During non-business hours or on weekends, calls should be directed to 1-877-LAPD-24-7 (877-527-3247).